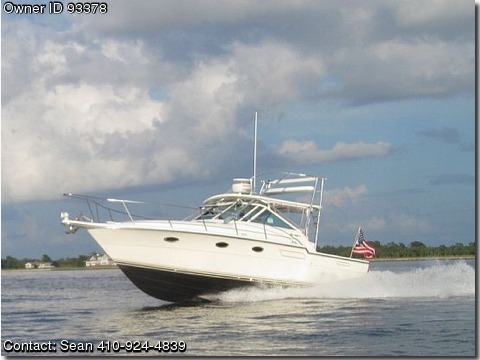 33' Tiara Open custom hardtop and crows nest, full enclosure. Lift kept, twin 454 C.I. Generator, AC, hot water heater, pressure hot and cold water, raw water wash down, new Fusion stereo, 16 Lee's rod holders, bait wells. Raymarine electronics, GPS, color chart plotters with radar overlay/seatalk/autopilot, remote control steering.- everything is in working order and ship shape. Removable after cockpit seating and storage. good condition. $39,000.00 or best offer. call 410-924-4839. Boat can be trailered or stored on large trailer. Email request for more pictures. Can deliver and install boat lift and boat to your dock for fee.